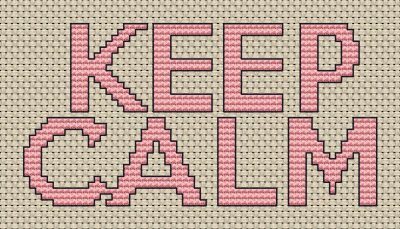 This is 60×31 stitches. 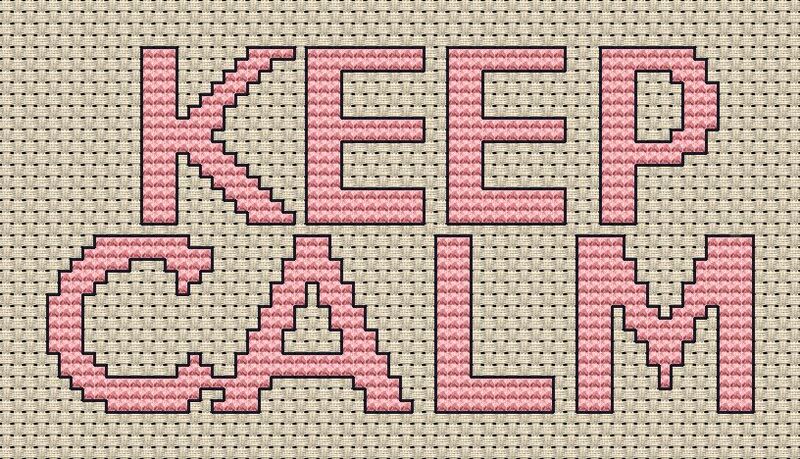 It simply says “Keep Calm”, so just a simple chart with letters stitched and backstitched. Honestly, you can do the stitching and skip the backstitching, or you could do the backstitching and skip the center being stitched. If you would like additional words to go along with this… just use the custom chart option to request more words. Custom charts start at $10.